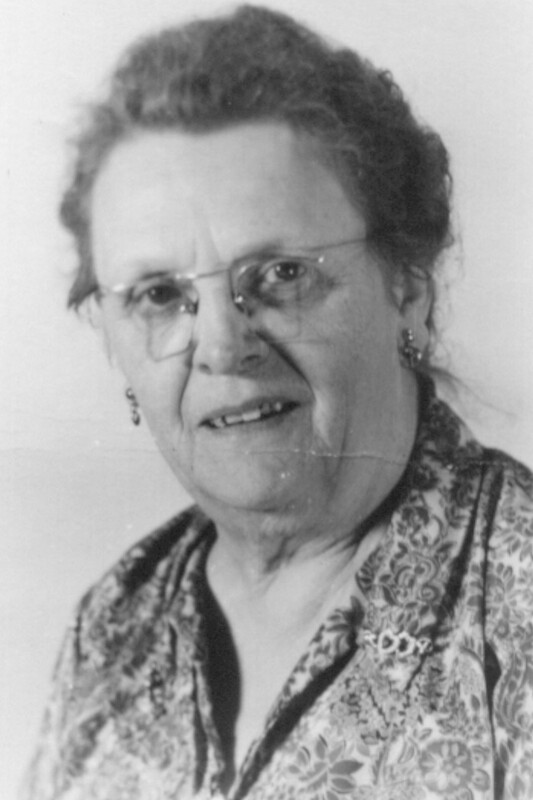 Miss Emma C. Fraine of Dayton, a teacher for 50 continuous years in the rural schools of La Salle County, will terminate her teaching career at the end of the current school year. To commemorate the occasion, residents of Dayton and the surrounding communities, her numerous friends and former students will honor her at a tea to be held Sunday from 2 to 5 in the Dayton Clubhouse. Miss Fraine is now a teacher at the Dayton school. This well known teacher has spent her entire lifetime in the Dayton community and was born in the house in which she is residing. Her parents were early settlers, coming here from the village of Alsace, France, about the year 1875. She attended the elementary schools and the high school which was then taught in Dayton. In 1902 Miss Fraine embarked on her teaching career which was to carry her over the span of a half century and many changes in the educational field. She first taught in a rural school north of Earlville, later going to Waltham Township to teach. She then taught in the Kleiber School northeast of Ottawa and in Grand Ridge. During the years she was busy furthering her own education and taking summer courses at DeKalb. In the year 1907 she was assigned to teach the primary grades in the two-room Dayton school and has continued in that capacity ever since – a total of 45 years. During those 45 years there have been nine teachers in the other room of the school. Miss Fraine’s co-workers included Ethel Wright, her sister, Jennie Fraine (now deceased), Francis Stangeland, Clark Raber, Verne Thompson, Mildred Masters Summins, Mrs. Geneva Beard, Delores Gretencord and the present teacher, Mrs. Naomi Trent. Sunday’s tea is being planned by a large committee headed by Mrs. R. P. Schmidt and including all persons of the community which Miss Fraine has served so long. Her hundreds of friends, acquaintances, former pupils and their families will attend. I did not know that Dayton had a high school! Wouldn’t it be great to have her photo collection of students!!! Yes, I wonder if they have survived somewhere. I’d love to see them.